Woeful Nats: Rally Napkin, Latest Nats Meme? Rally Napkin, Latest Nats Meme? 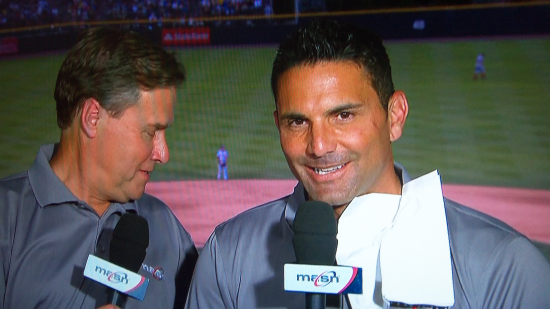 A random Napkin blowing around Coors Field got FP Santangelo excited as it stuck to the leg of Danny Espinosa standing on first base. FP dubbed it the "rally napkin" and moments later the 0-0 game was 3-0 in favor of the Nationals. Oh who is that watching Ian Desmond drive in a bunch of runs. And who is out there during Tyler Moore's 3 run BOMB? Why it's Rally Napkin!